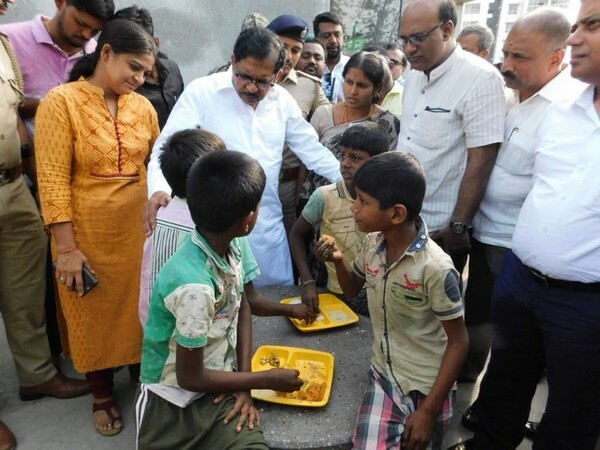 Bengaluru (Karnataka) [India], Mar 21 (ANI): Deputy Chief Minister G Parmeshwara on Thursday visited Indira Canteens at Deepanjali Nagar and Nayandahalli to check the quality of food being provided to the people of economically weaker sections of the society at cheaper rates. "Paid visits to Indira Canteens at Deepanjali Nagar and Nayandahalli today. Indira Canteens are an integral part of our welfare policy. We are committed to ensuring that the food available there is nutritional and of high quality by carrying out tests on a regular basis," Parmeshwara tweeted. During his visit, Parmeshwara interacted with children and elders who had breakfast in canteens in the morning and took their reviews about food quality and hygiene.